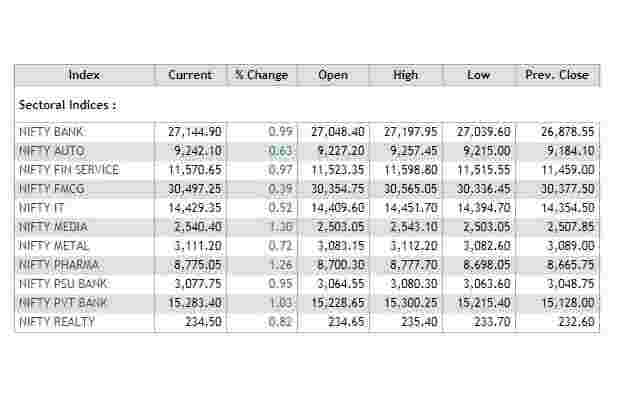 The BSE Sensex closed 269.44 points, or 0.75%, up at 36,076.72, and the Nifty 50 ended 80.10 points, or 0.74%, higher at 10,859.90. Steel Authority of India Ltd (SAIL) wants to sign JV agreement with ArcelorMittal next month, SAIL’s chairman said on Friday. Higher input costs mean no scope for a cut in local steel prices, SAIL Chairman Anil Kumar Chaudhary said. Peninsula Land said it has entered into a securities purchase agreement to acquire 86% of Rockfirst Real Estate Ltd. Moreover, the company signed securities purchase agreements to acquire 86% Goodhome Realty Ltd and Truewin Realty Ltd. Peninsula Land shares traded 4.7% up at Rs 11.32 per share after rising as much as Rs 12.10 per share. Shares of steel companies advanced after Reuters reported that India is in talks with the United States over exemptions on steel tariffs, the country’s steel secretary said on Friday. India will also seek relief from Canada over quotas and tariffs next month, Binoy Kumar, the top most bureaucrat in India’s steel ministry, told reporters, as Indian steel companies have been affected by Canadian tariffs.SAIL shares rose 5.2% to Rs 54.20 per share, Jindal Steel shares added 3.1% to Rs 163.45 per share, Jindal Stainless gained 2.5% to Rs 88.70 per share and JSW Steel advanced 2.6% to Rs 300.60 per share. The BSE Sensex traded 356.20 points, or 0.99%, up at 36,163.48, and the Nifty 50 rose 105.70 points, or 0.98%, to 10,885.50. 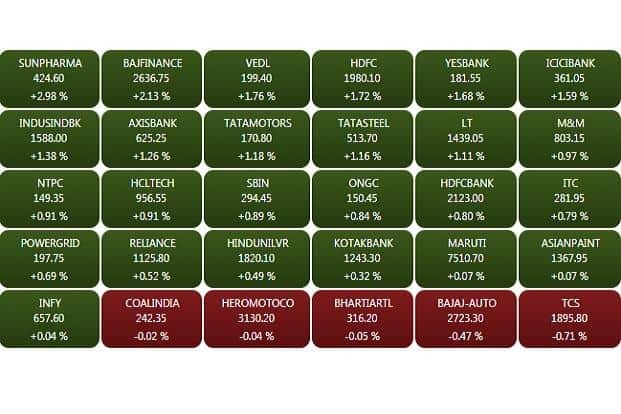 The BSE midcap and smallcap indices rose 0.94% and 0.75%, respectively. 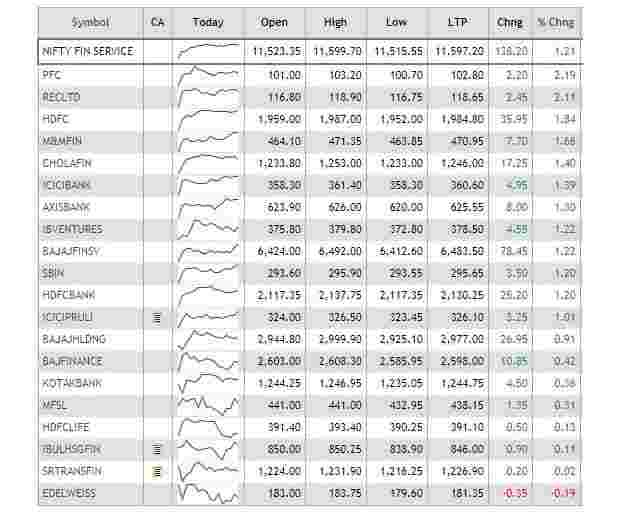 All the sectoral indices traded in positive territory led by consumer durables, capital goods, bankex, finance and FMCG. 3M India said 3M Electro and Communication India Pvt Ltd has become a 100% subsidiary of the company with effect from December 27 after payment of consideration and transfer of shares. 3M India shares traded 2.45% up at Rs 20,870.05. Tata Motors shares traded 1.72% up at Rs 171.70 per share. Tata group Chairman N Chandrasekaran said Tata Motors is working closely with other group entities such as Tata Capital and Tata Power to create electric vehicle (EV) ecosystem in the country. Dilip Buildcon Ltd said it has executed an EPC agreement with NHAI for Lalganj-Hanumanha, NH-7 (pkg-3) in Uttar Pradesh for Rs 677 crore. Shares traded 0.81% up at Rs 422.10 per share. 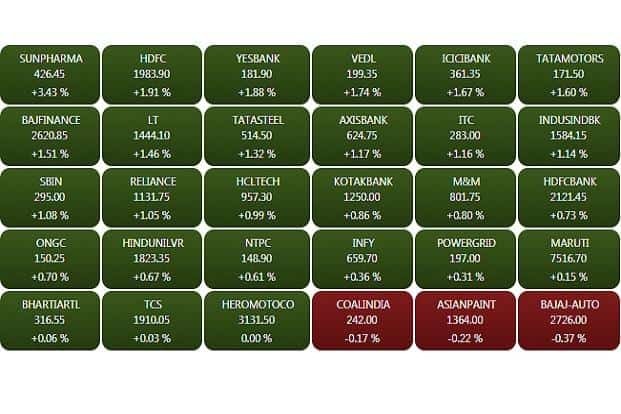 Shares of financial services companies surged on the government’s plan to infuse Rs 28,615 crore into seven public sector banks (PSBs) through recapitalisation bonds by the end of this month, reported PTI. The recapitalisation, the finance minister said, would enhance the lending capacity of PSBs and help them come out of RBI’s PCA framework. 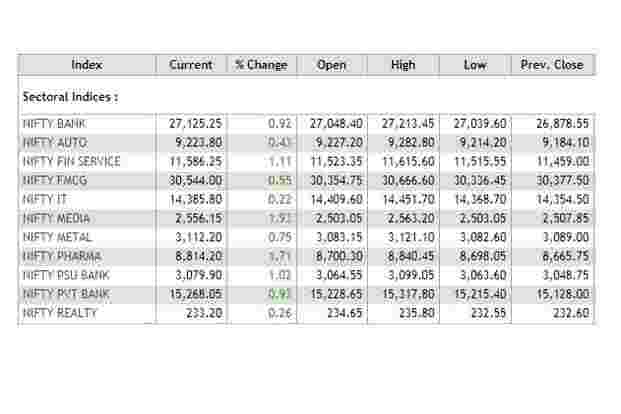 The BSE Sensex traded 310.24 points, or 0.87%, up at 36,117.52, and the Nifty 50 rose 77.40 points, or 0.72%, to 10,857.20. The BSE midcap and smallcap indices rose 0.46% and 0.54%, respectively. 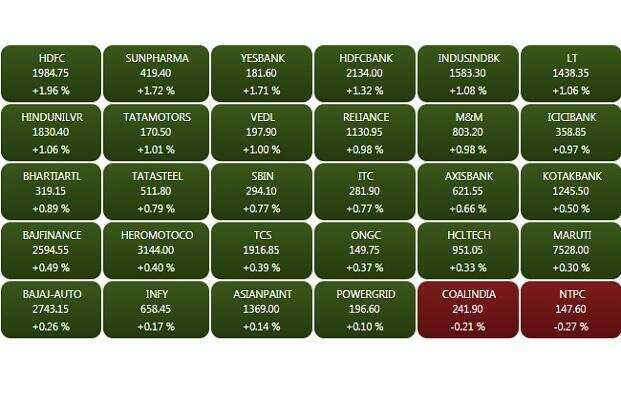 All the sectoral indices on BSE traded in positive territory led by finance, which was up 1%. Capital goods, consumer durables, bankex and basic materials rose over 0.8%. The rupee strengthened marginally against the US dollar, tracking gains in its Asian peers as a government shutdown in the US weighs on the dollar. At 9.10am, the rupee was trading at 70.06 a dollar, up 0.42% from its Thursday’s close of 70.36. Rupee opened at 70.06 a dollar. 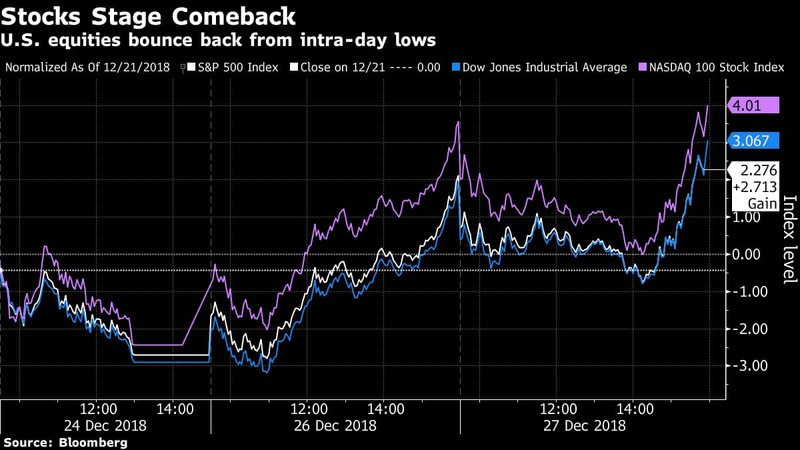 The 10-year gilt yield was trading at 7.27% from its previous close of 7.276%. 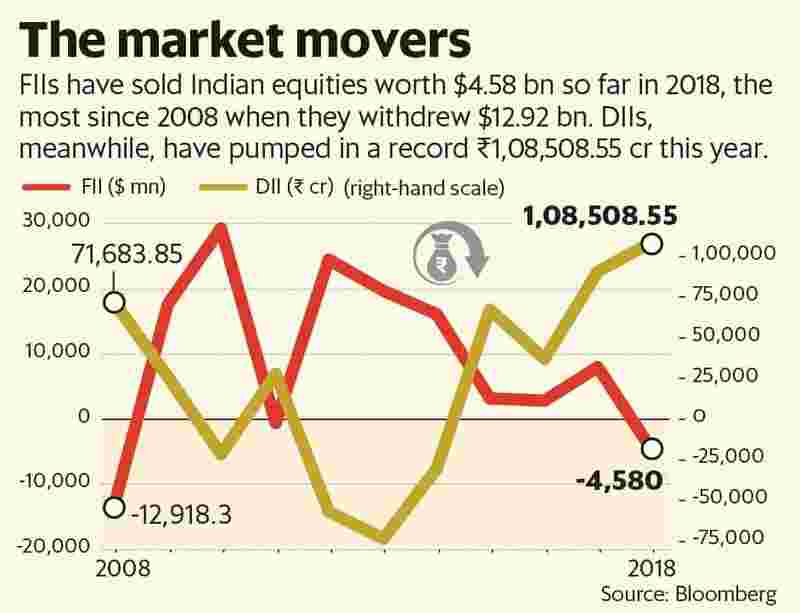 So far this year, the rupee has declined 8.85%, while foreign investors have sold $4.61 billion and $6.84 billion in the equity and debt markets, respectively.